Hello there! I wish I could remember the name of this bird, but I can’t. Doesn’t he/she look cheerful. Photo taken in Botswana, 2010. This entry was posted in Travel Photos and tagged 50 Year Project, Africa, Birds, Blog, Blogging, Botswana, Life, Nature, Okavango Delta, Photography, Travel, Travel Blog, Travel Journal, Travel Photo. Bookmark the permalink. I do remember hearing that sound. I can still hear it now if I concentrate. So many amazing animals from this part of the world. looks like a cross from a pigeon and a cockatoo, Weird! Awesome! That’s a pretty good description. Seems a tad shy, turning away from the camera. 🙂 Nice! 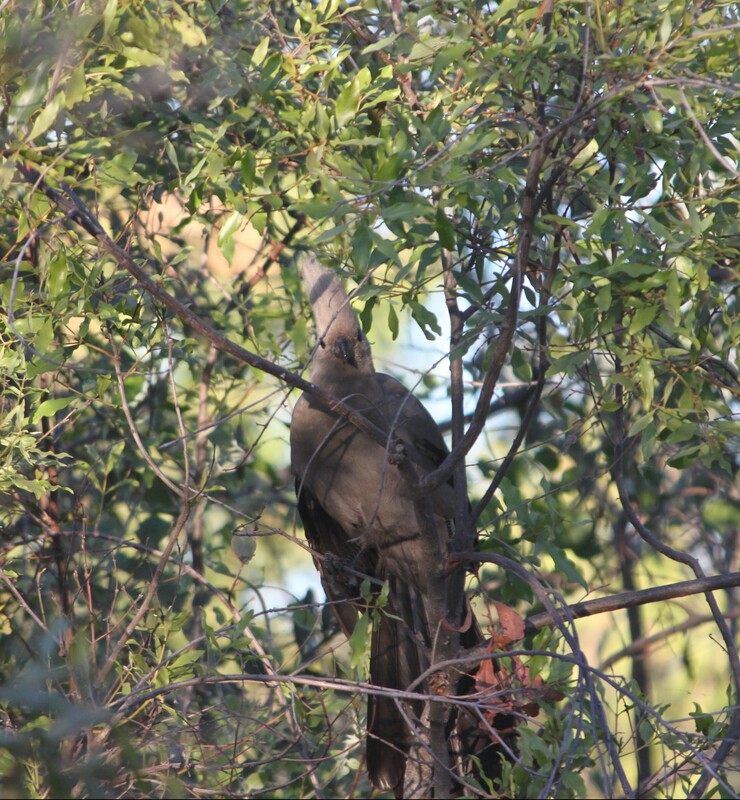 it’s a grey turaco or which used to be known as a grey lourie, and often known as the go away bird for their call and habit of warning of the presence of man/predators to other animals. He did his job, there was a leopard! And us humans, of course. Beautiful. Looks inquisitive yet mysterious! Definitely got the pigeon/cockatoo thing going on. She’s so poised and charming. Awesome! Not sure why I said “she.” I don’t know if it’s male or female. i thought she too-muted colors and the hairdo i think. lovely bird though. And she has a great personality.